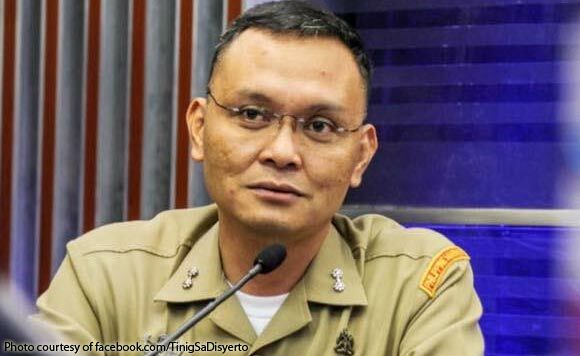 Navy Lt. Col. Ferdinand Marcelino has expressed willingness to divulge information on detained Senator Leila De Lima and other previous and current government officials who are accused of having benefited from or being involved in the illegal drug trade. This was bared by Public Attorney’s Office chief Persida Acosta, who is representing Marcelino in his drug case before a Manila regional trial court. “He said he can testify any time,” Acosta said after the Department of Justice released a resolution dismissing Marcelino’s drug case. The PAO chief, however, admitted that she is not yet aware of what Marcelino intends to testify about. “Let’s us just wait for it to unfold if the government will utilize him in the Bilibid drug case,” she said. De Lima is currently detained at the Custodial Center of the Philippine National Police in Camp Crame due over the proliferation of narcotic substances in the New Bilibid Prison. De Lima earlier expressed fears that Marcelino will be used by the administration to pin her down.